Change furnace and humidifier filters. 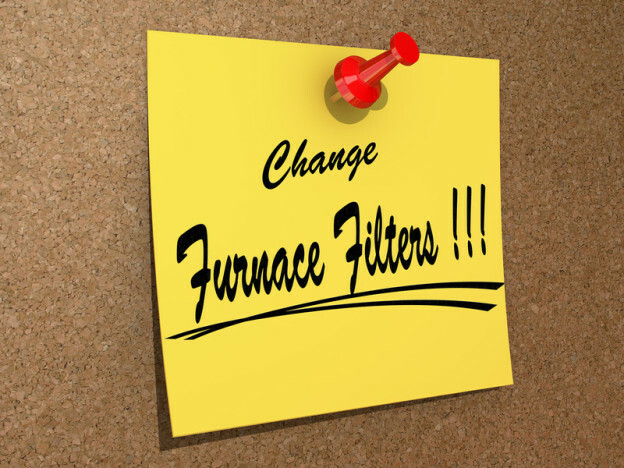 Replacing the filters regularly helps your furnace run more efficiently and keeps the air in your home cleaner. According to the U.S. EPA, the air inside your home can be 2 to 5 times worse than the air outside. Do a home safety check. It doesn’t take long to check home safety devices and the peace of mind is well worth the effort. Test smoke detectors and carbon monoxide detectors, changing batteries as needed. Check the expiration date on fire extinguishers and replace as needed. Check insulation and venting in attic. The soffit and roof vents in your home are how your house dissipates moisture in the attic. They can’t do this is they are blocked or clogged. While you’re checking the vents, make sure there are no signs of leaks or ways for water to get in. 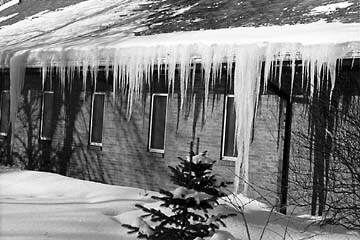 If your house looks like this, there is likely an insulation or venting problem. If you’ve had damage to your home or business, contact Smart Restorations Services. The experts at Smart Restoration Services can address all phases of restoration, remediation and reconstruction. Contact us at 847.577.2900 or contactus@smartrestorationservices.com.